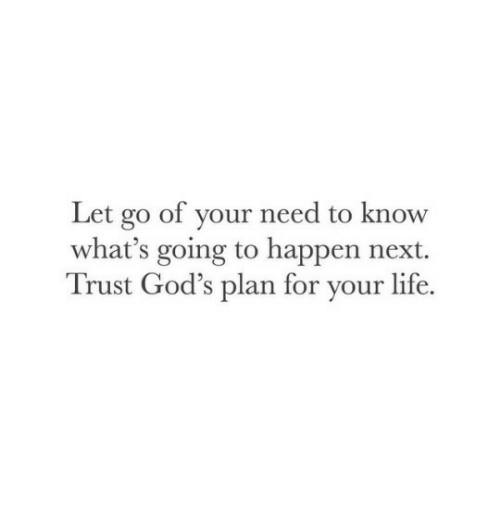 Life, Next, and Gods: Let go of your need to know what's going to happen next. 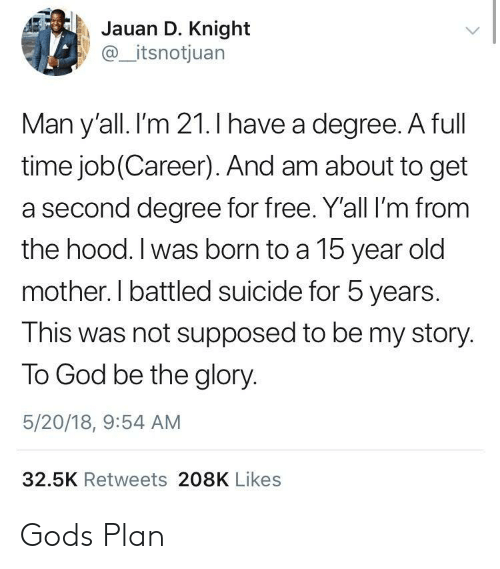 Trust God's plan for your life. 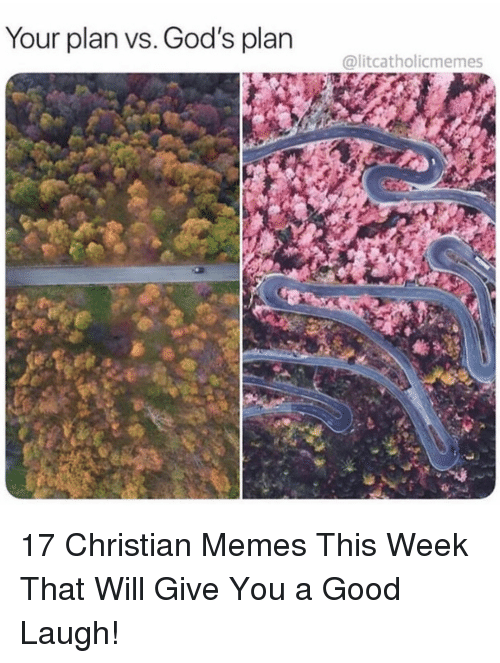 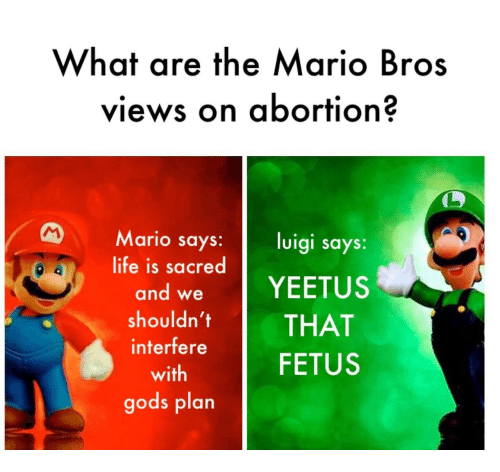 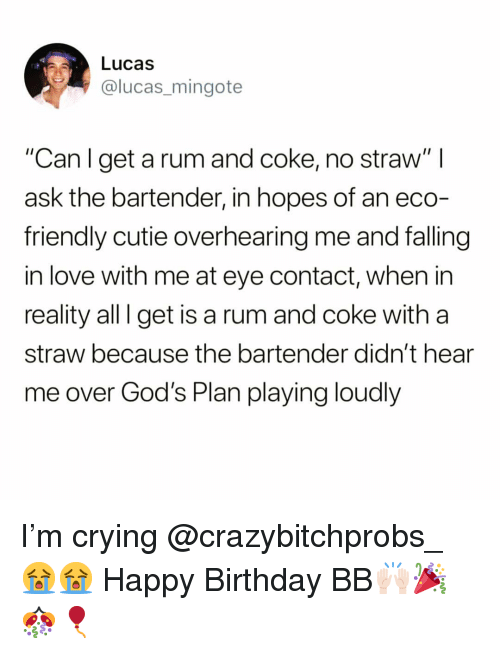 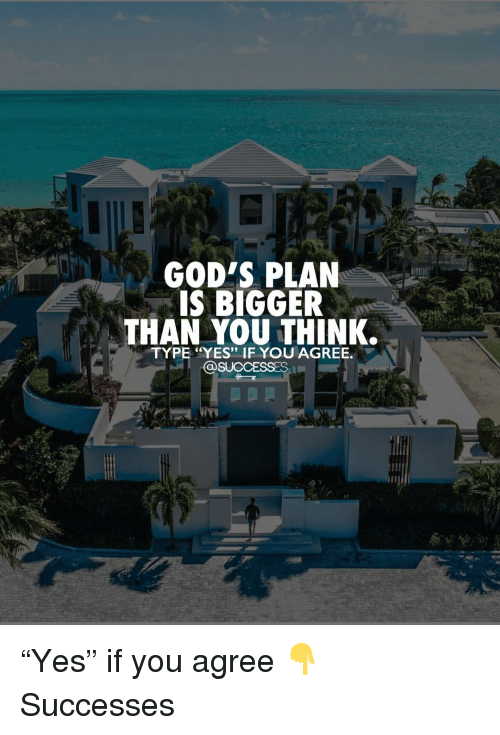 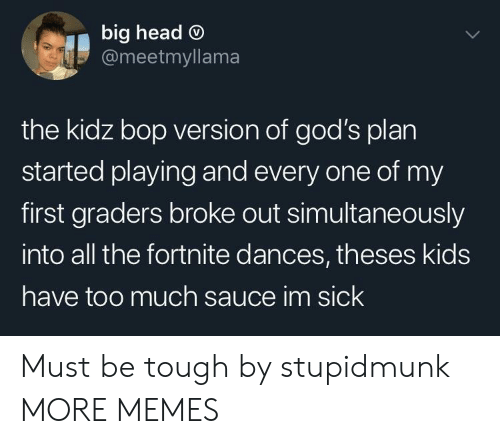 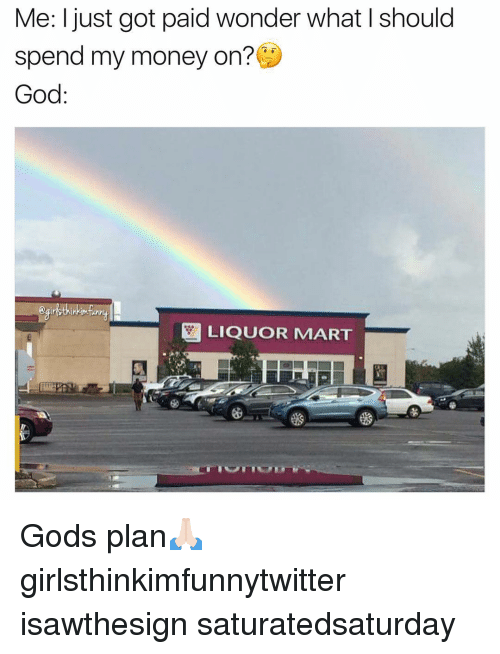 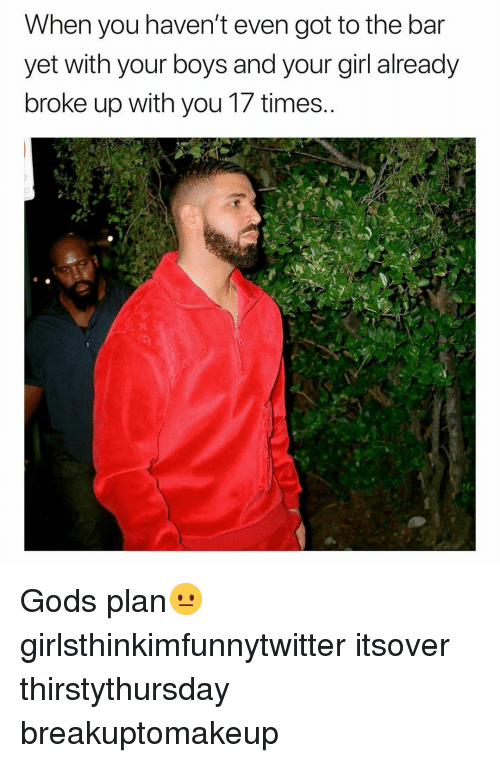 Memes, Good, and Christian Memes: Your plan vs. God's plan @litcatholicmemes 17 Christian Memes This Week That Will Give You a Good Laugh! 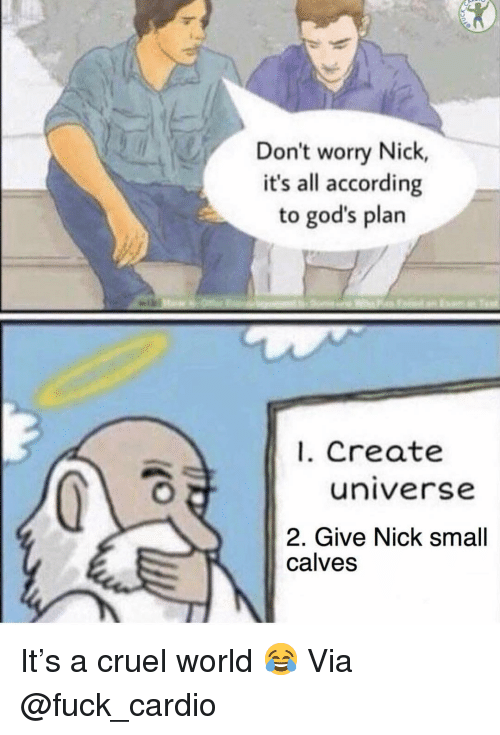 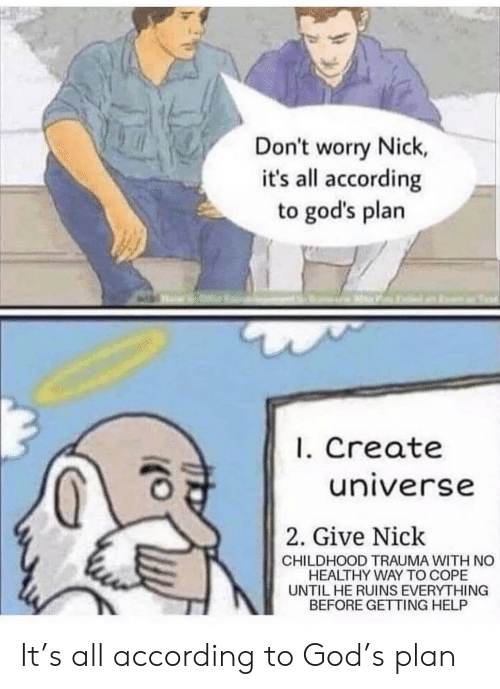 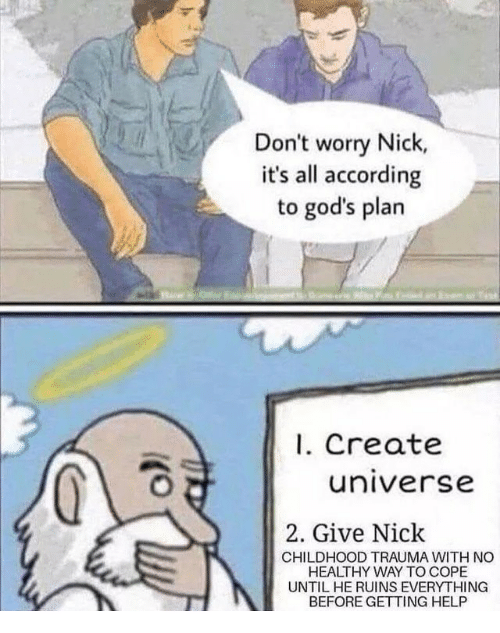 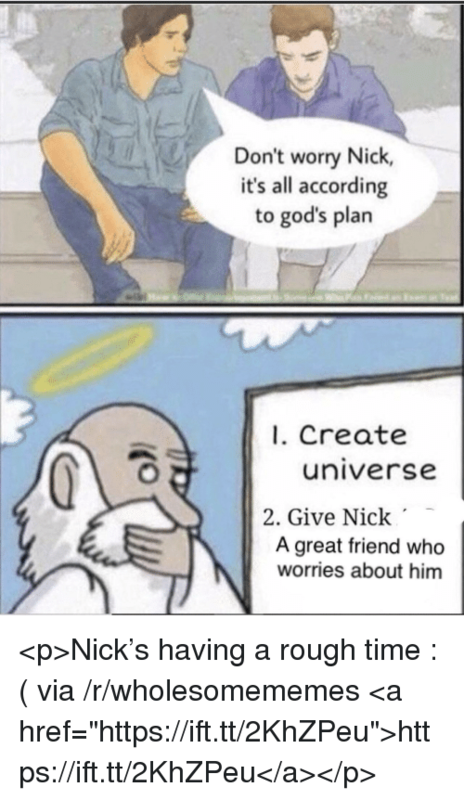 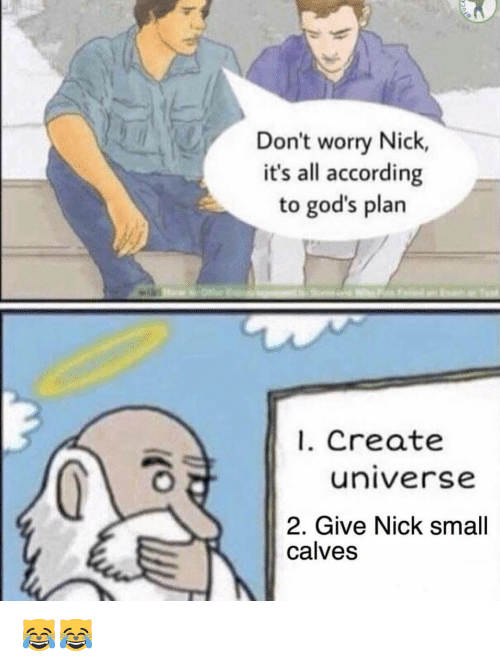 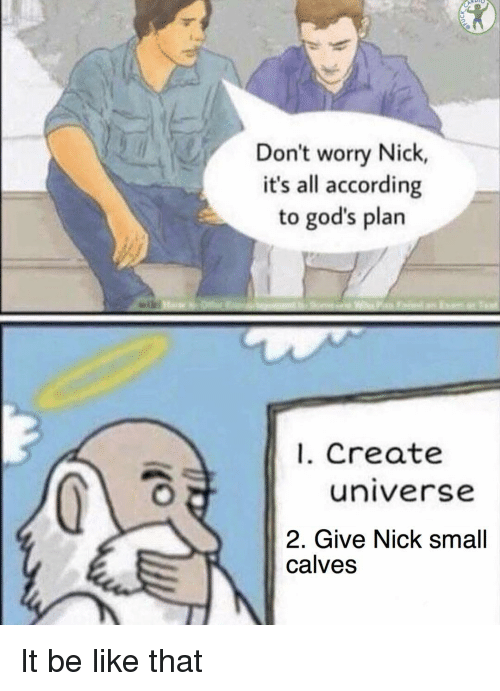 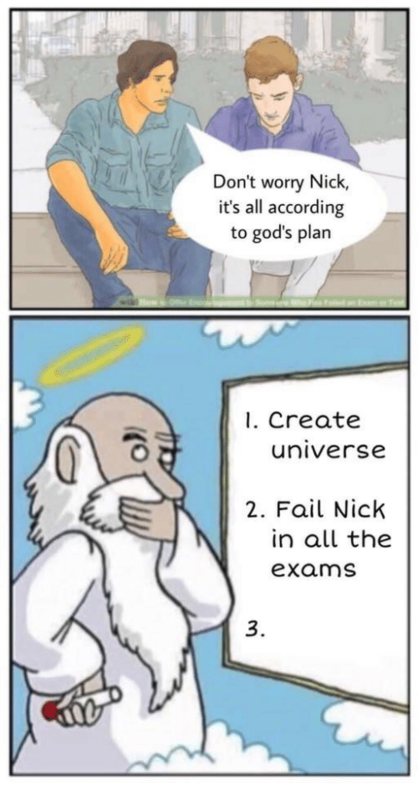 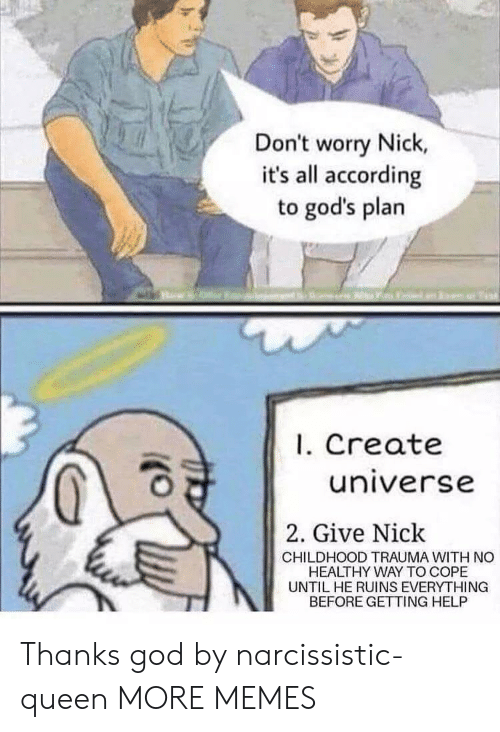 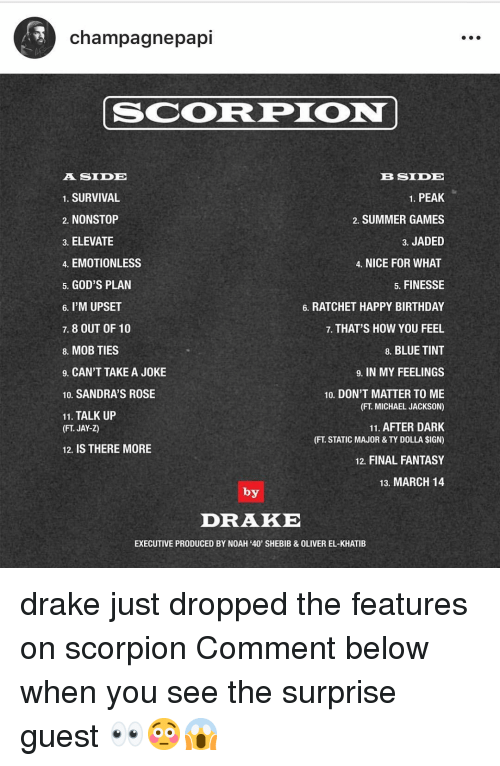 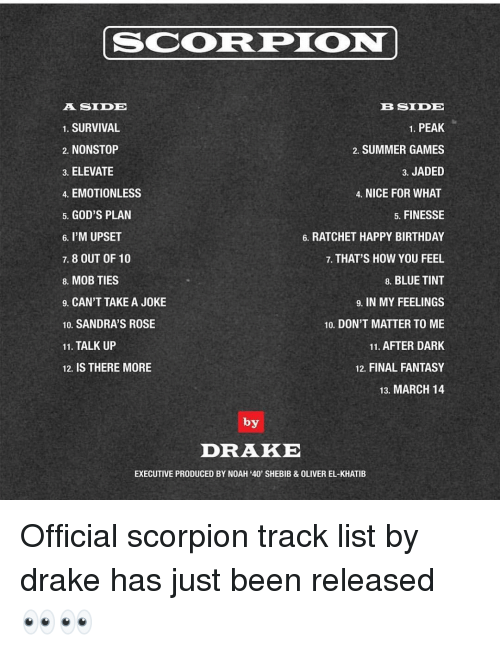 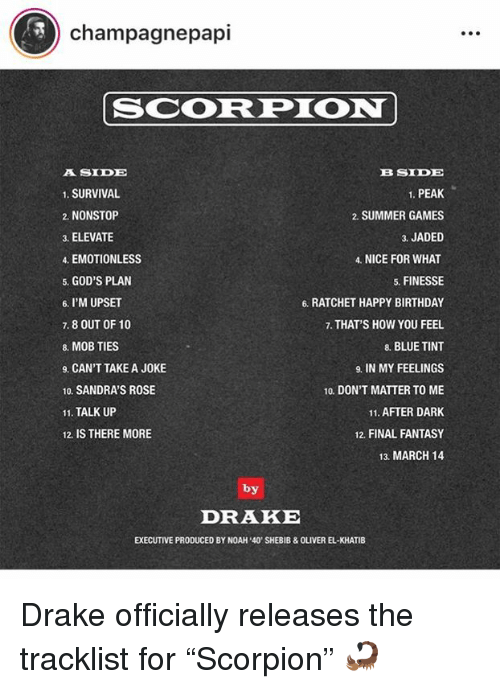 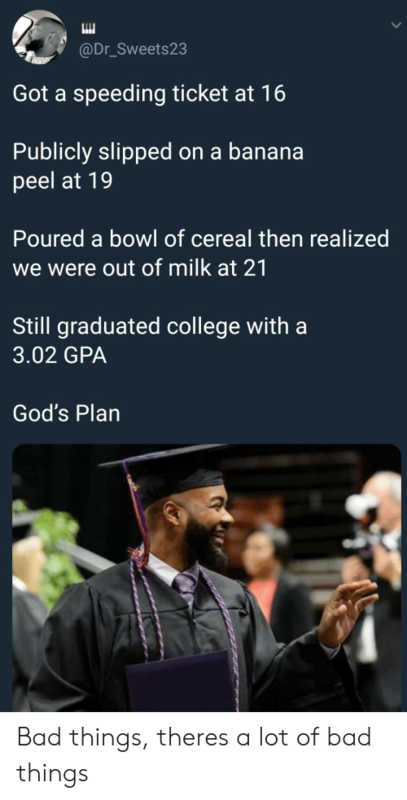 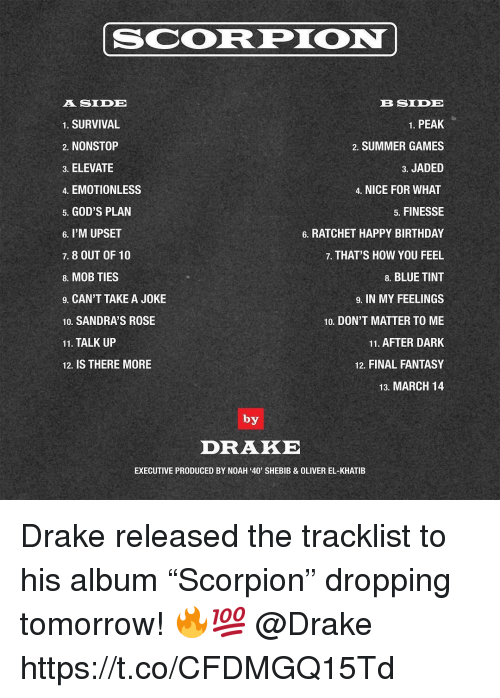 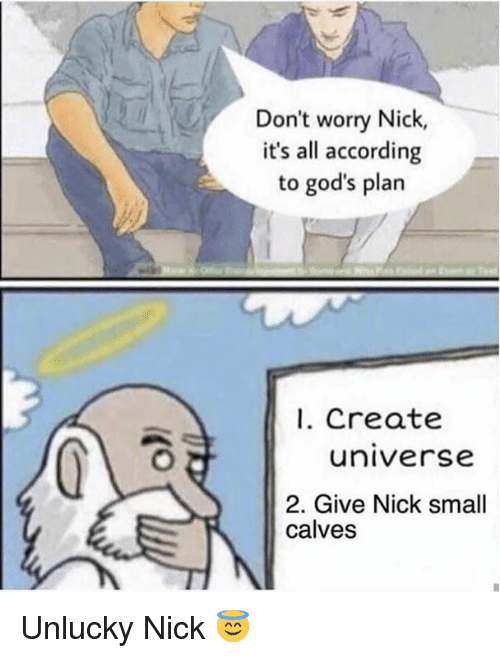 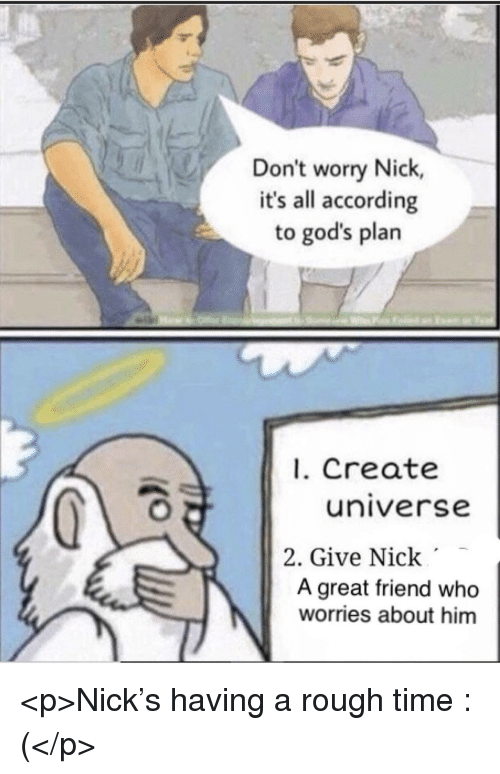 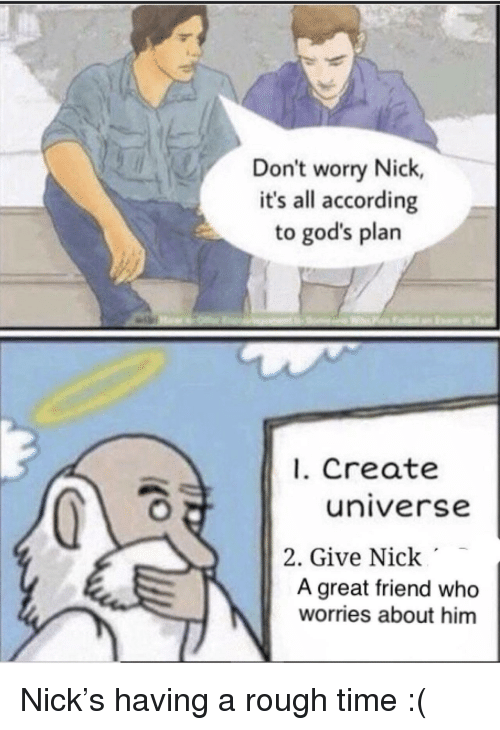 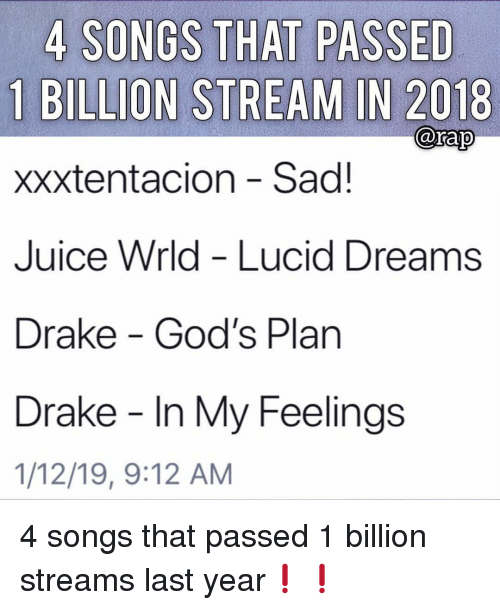 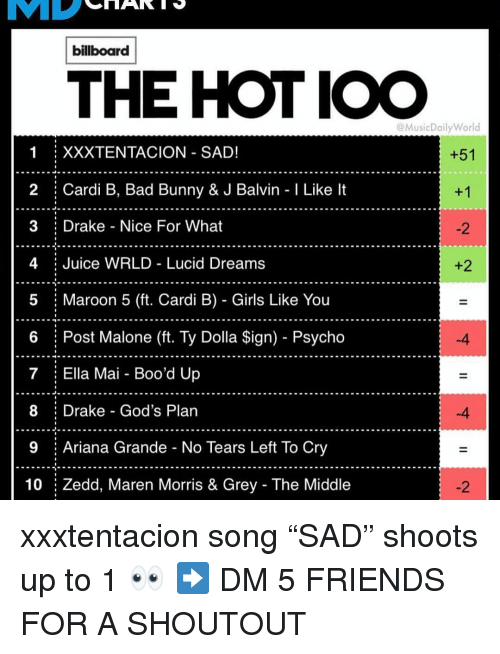 Fail, Nick, and According: Don't worry Nick, it's all according to god's plan 1. 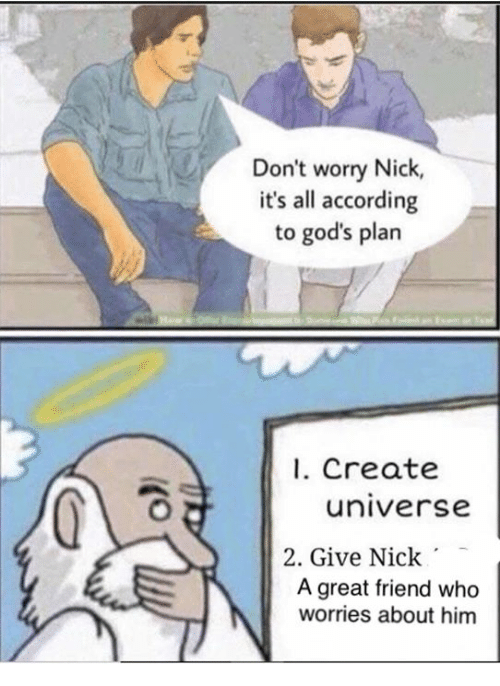 Create universe 2. 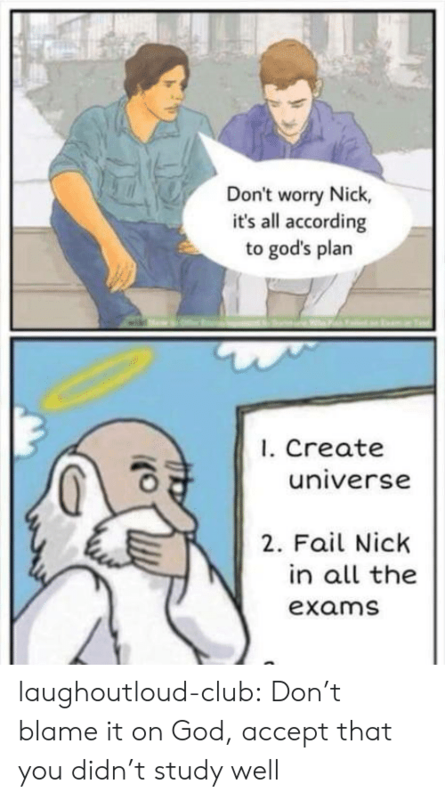 Fail Nick IC in all the exams 3. 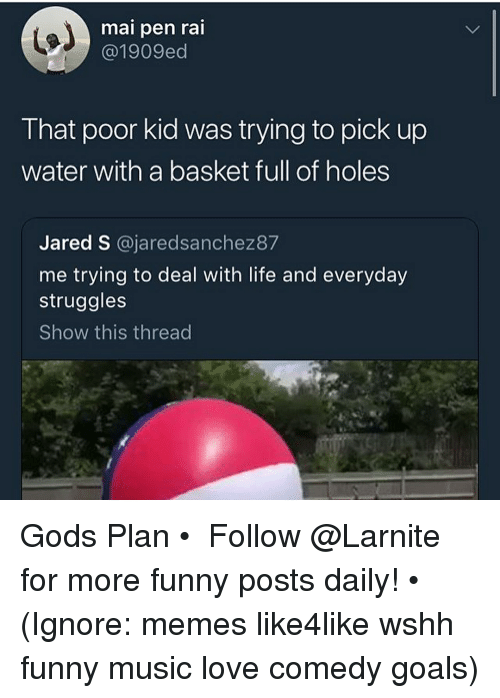 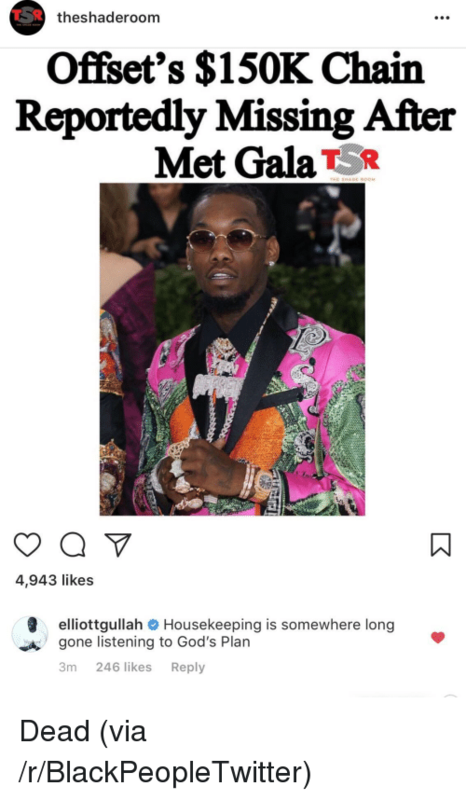 Dank, Kkk, and Memes: GGFroste Retweeted Edis Aggin @Wiseguy_Wes 5h Does she have a GoFundMe? 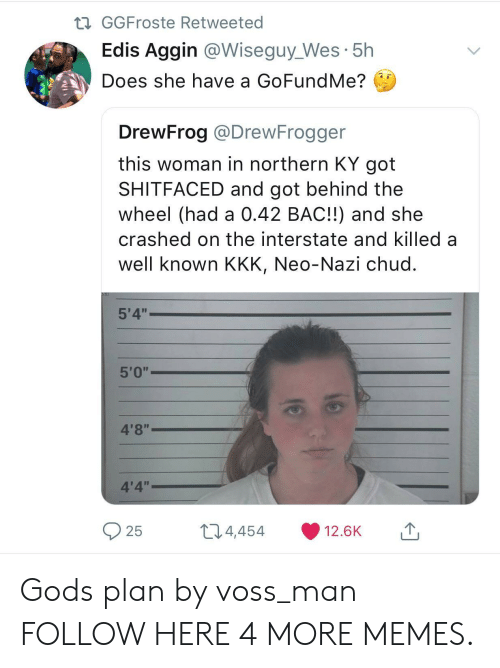 DrewFrog @DrewFrogger this woman in northern KY got SHITFACED and got behind the wheel (had a 0.42 BAC!!) 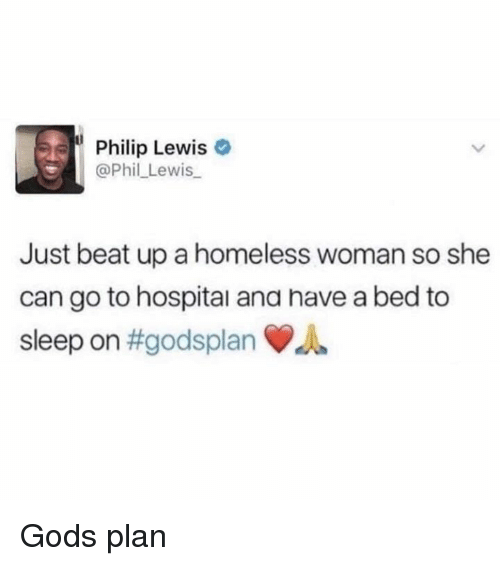 and she crashed on the interstate and killed a well known KKK, Neo-Nazi chud 5'4" 4'8" 4'4" 25 t 4, 454 12.6K Gods plan by voss_man FOLLOW HERE 4 MORE MEMES. 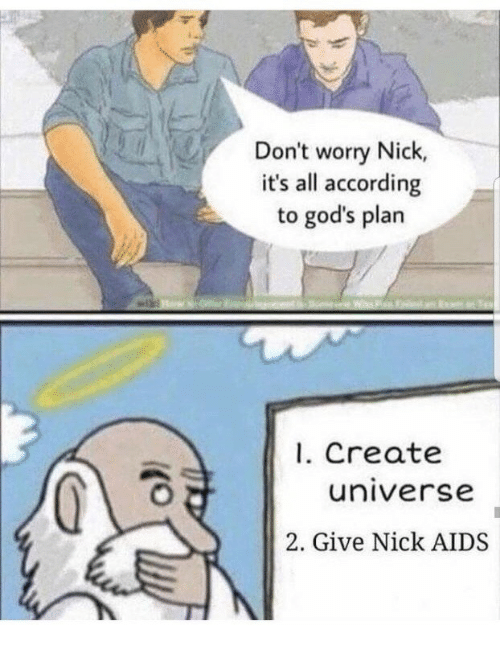 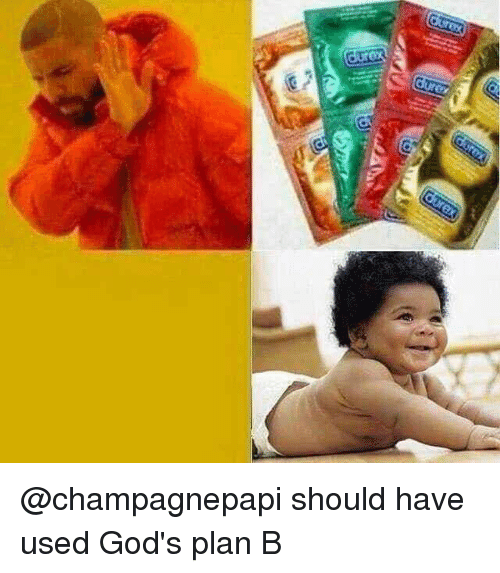 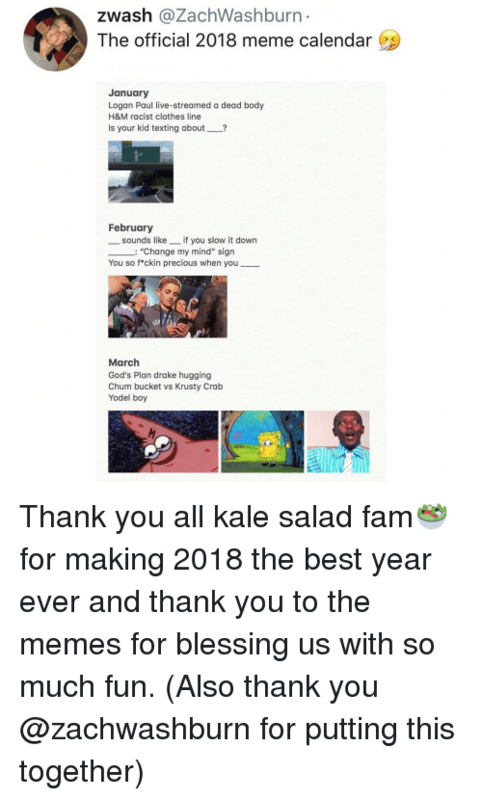 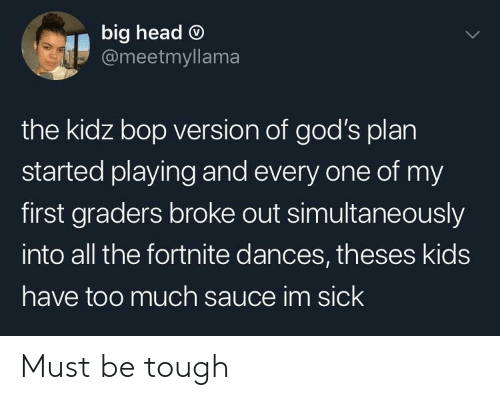 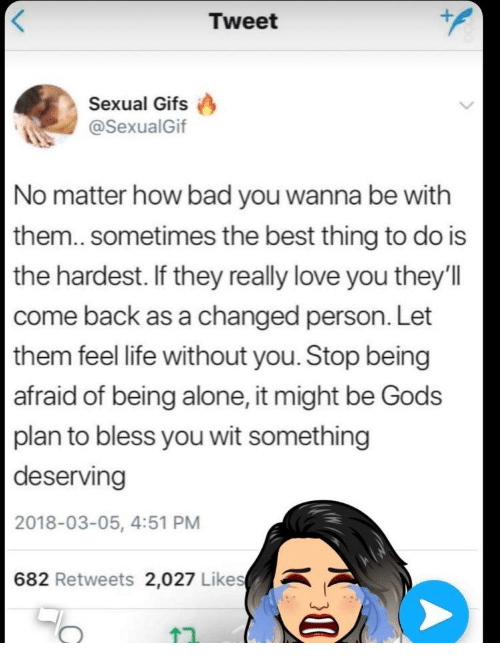 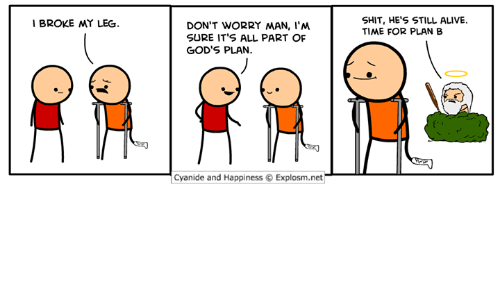 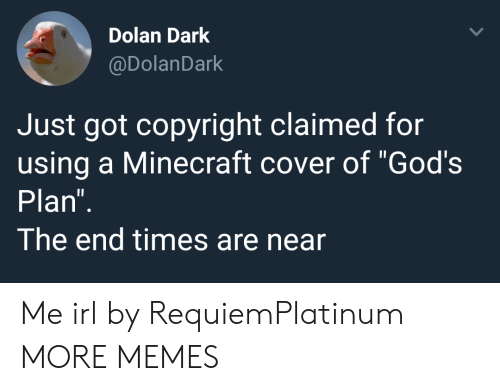 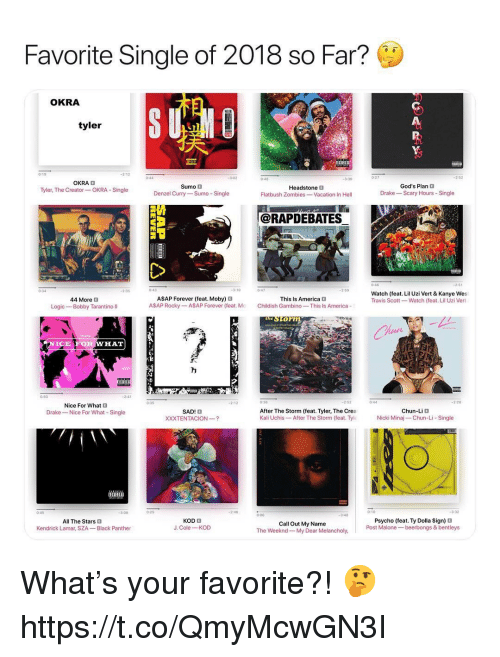 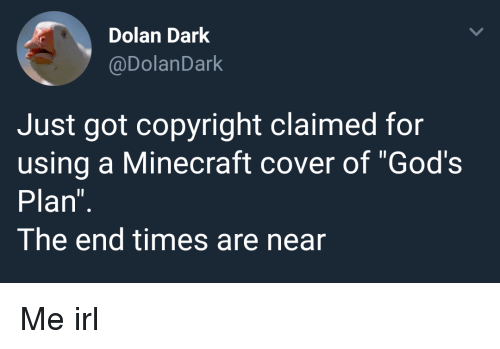 Gods plan by voss_man FOLLOW HERE 4 MORE MEMES.